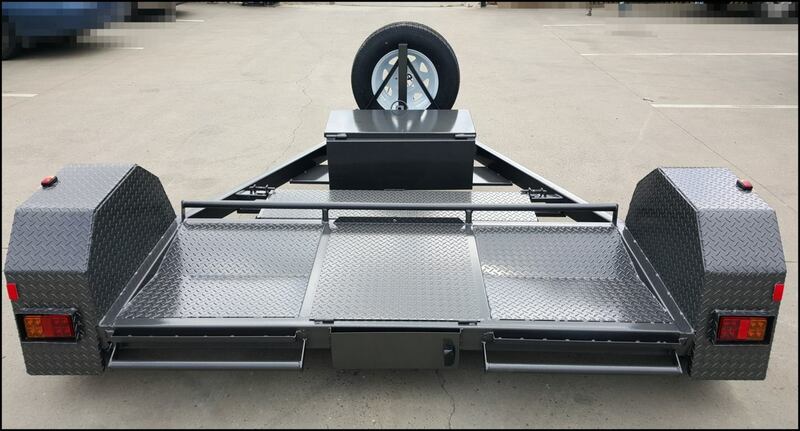 At Blue Star Trailers, we can supply you with a car carrier trailer that’s reliable, durable and made from locally sourced steel. 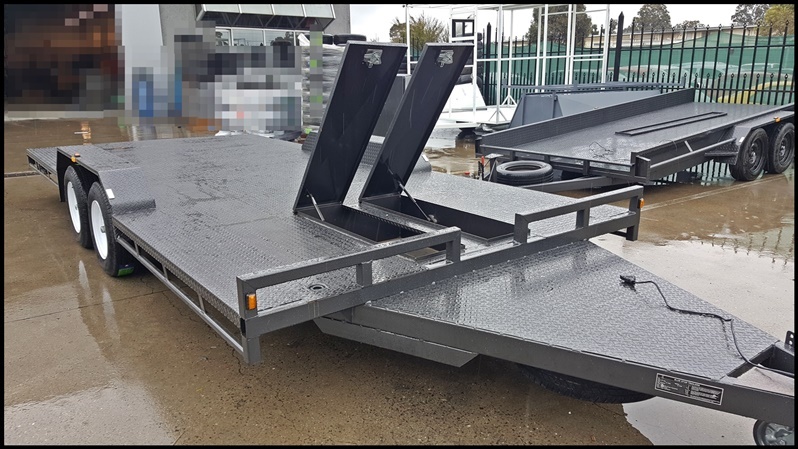 We specialise in custom built trailers, ensuring you’ll receive a car carrier trailer that’s tailor made to your specific requirements. 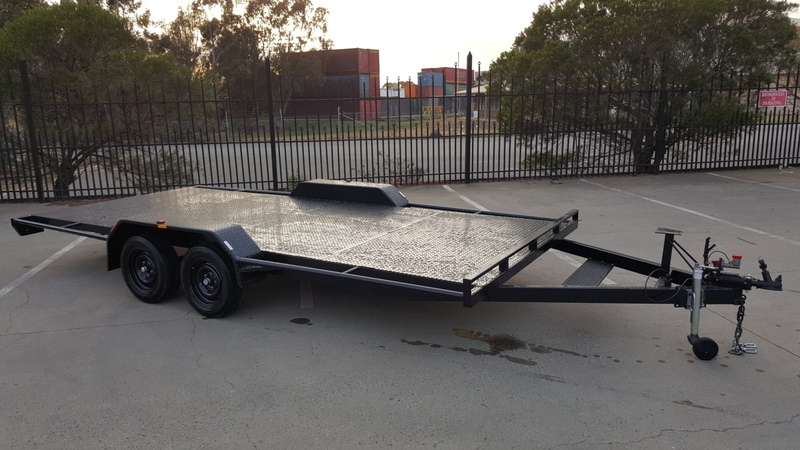 Our car trailers in Melbourne come in a range of sizes and boast a number of features. 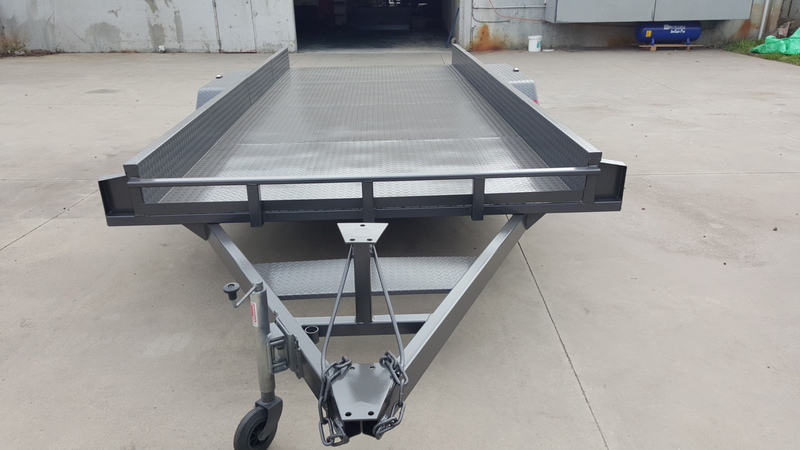 Depending on the model, features include heavy duty drawbars, checker plate floors and sides, winch posts, LED lights, two coats of hammertone grey paint, and 7 Leaf spring suspension. As premier car trailer manufacturers, we provide a structural warranty for all trailers and also offer optional extras such as rocker roller suspension, new tyres and rims, and your choice of colour. 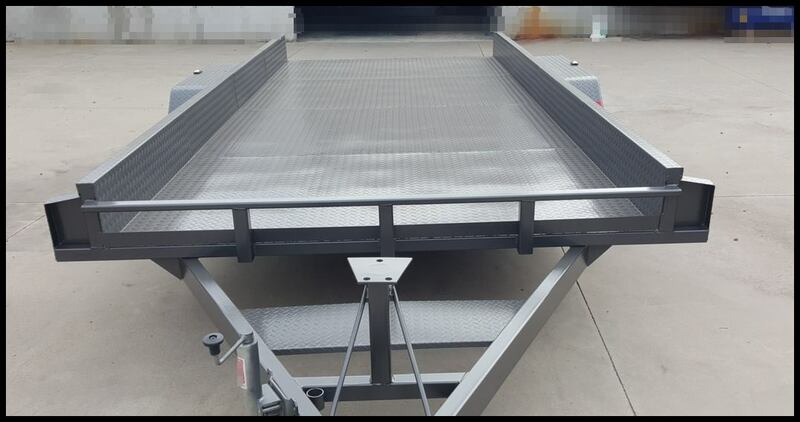 When you need high-quality car trailers in Melbourne, think Blue Star Trailers. If you’re not looking to buy and just need a trailer for a short period of time, we also have car trailers for hire. 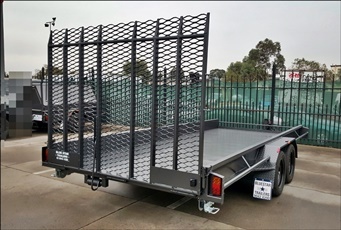 Call us today on (03) 9042 4390 to speak to a friendly member of staff and obtain more information on our great range of car trailers for sale and hire in Melbourne. Alternatively, you can contact us online and we’ll respond to you as soon as possible.